To encourage brand affinity and to provide an exclusive experience for its drinkers, single malt scotch whisky-maker The Macallan hosted free private tasting shows for consumers over four nights, Nov. 27 through Nov. 30, at The Altman Building in New York City. 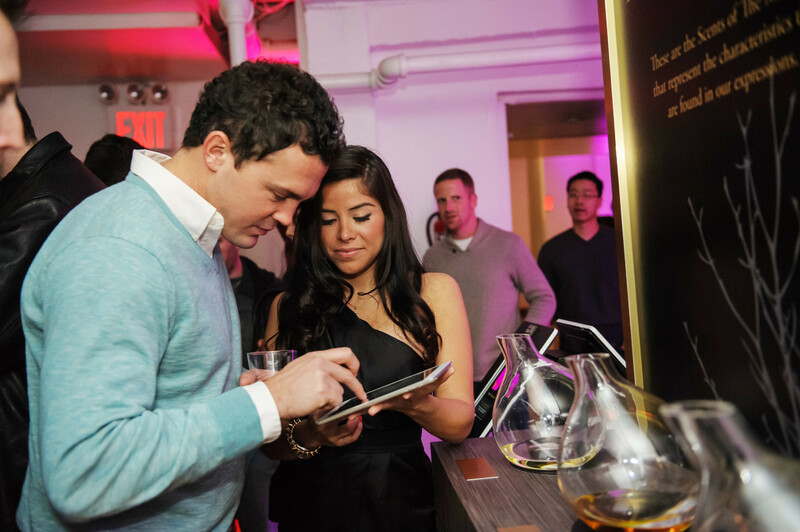 Each session of the Raise The Macallan event included about 250 consumers who registered or had attended the circa-1824 brand’s previous events. 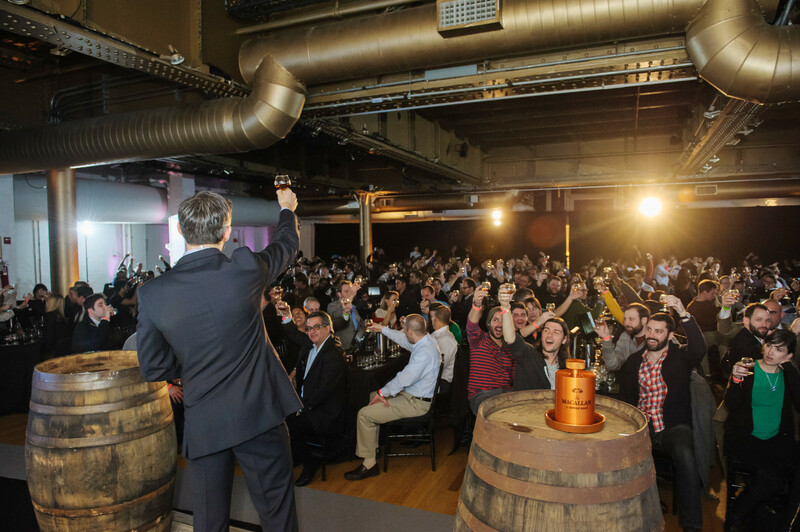 A select group of hyper-engaged consumers were invited to be VIP guests with access to the brand ambassador, fine hors d’oeuvres and a dram from a 12-year sherry cask. 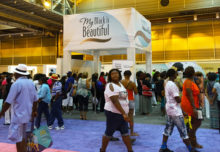 RFID technology guided the night as consumers checked in at kiosks before the main show, unlocking a wireless connection and a custom-built site on their smartphone browser featuring a “Macallan ID” QR code to use to participate in various experiences. (Cards were handed to those without a smartphone.) These included a red carpet-style photo shoot, a scent station where consumers were matched with Macallan labels and suggested food pairings based on their preferences, a trivia game where consumers could guess how much certain years of Macallan went for in auction, and a large oak stump etched with a timeline that gave consumers an idea of how the age of the wood Macallan uses for its casks affects the quality of the scotch and gives the scotch its natural amber hue. Once ushered upstairs, consumers took their seats as the regional brand ambassador walked the audience through a history of the brand from a grand stage flanked by two large screens that offered visuals and video throughout. Between each chapter, servers handed consumers drams of different Macallan years as the ambassador described the aroma and flavor of the selection, and then offered a toast. Consumers were also prompted to answer trivia questions on kiosks located at every table. At the end of the show, the guest who answered the most questions correctly and in the timeliest manner was invited up to the stage with friends to receive a very special dram of a 17-year sherry cask—complete with an ice sphere for the glass made on the spot. Each kiosk and RFID scan prompted consumers to answer a question or two about his or her drinking habits or preferences. The Macallan will use this data to follow up with news, surveys or invites to future events. Agency: SoHo Experiential, New York City.